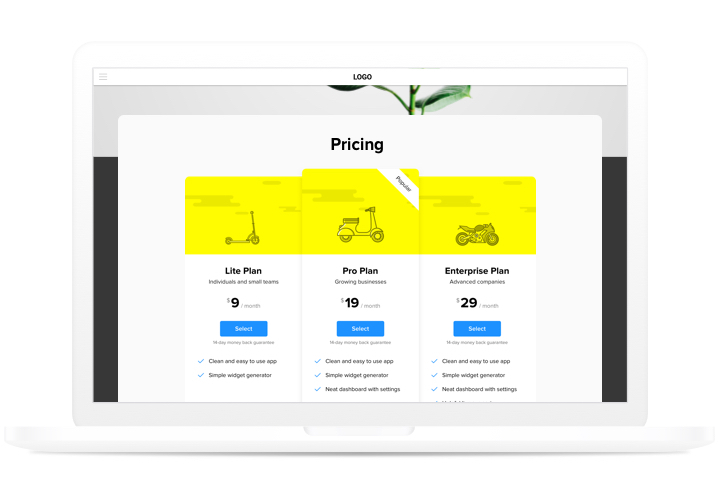 Pricing became one of the key factors of convincing users to make a purchase. Elfsight widget not only gives shoppers of the website a chance to learn and compare price offers quickly. It also contributes to improving conversion by means of using the latest tricks in interface and modelling. Bring sales of your website to a higher level, with the help of effective pricing. Engage the most advanced trends of the interface, to exclude any misconceptions your clients may have while making a decision to buy and achieve the maximum conversion. Customizing widget in only 1 minute. Spend just several minutes, to create an ideal widget. Choose any needed configurations of design and information to display it in only a couple clicks. 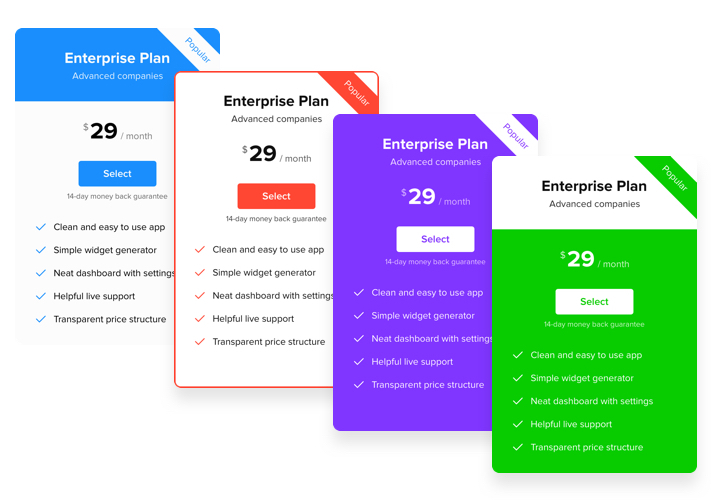 Write all the details about your pricing plans. 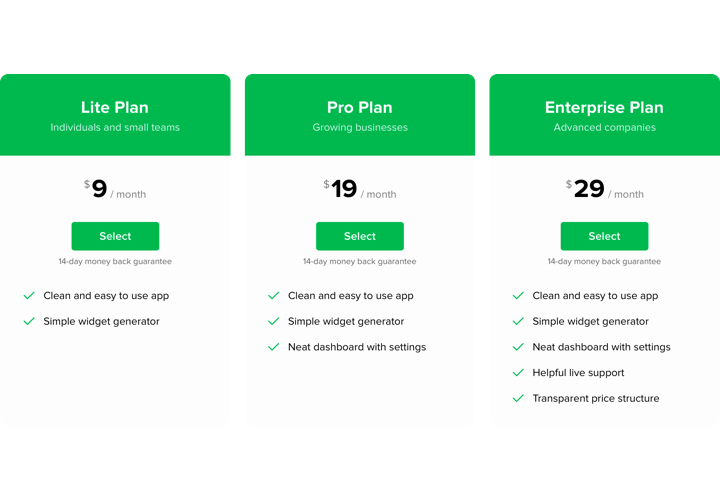 Tell more details about your pricing conditions and add your plans to a personal widget, so that customers could see and compare possible tariffs. 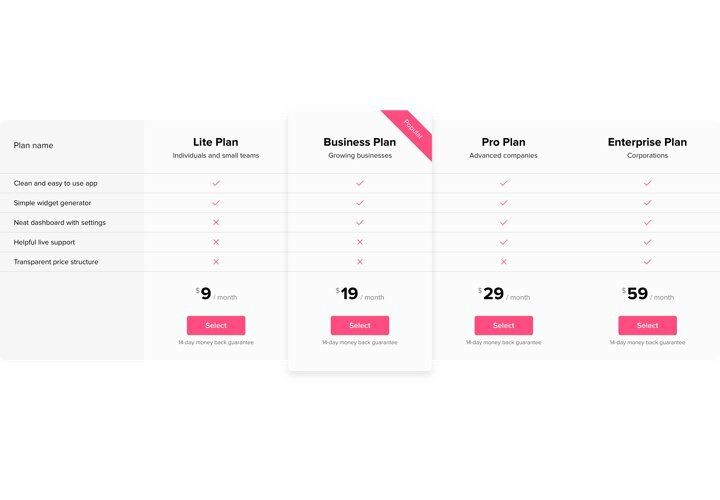 The characteristics that transform our widget into the best pricing table for Squarespace websites. A manual on installation of our widget. To perform it, you will not need knowledge in programming or much time. Just 4 easy steps and3 minutes. 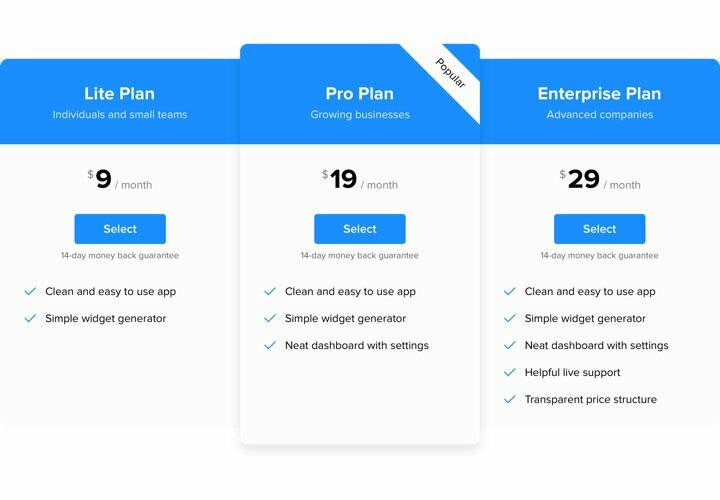 Create your unique Pricing Table. With our free demo, shape a plugin with needed look and functions. Acquire the code for displaying the plugin. After widget tuning, obtain the code for Pricing plugin from the popup notification on Elfsight Apps. Place the plugin on SquareSpace website. Place the plugin on the required spot of the page and publish the changes. Visit your website, to check your Pricing. Having queries while creating your widget? 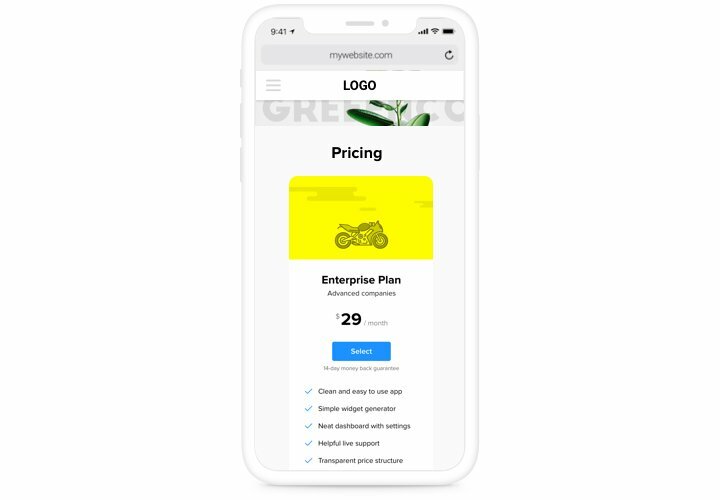 Check our full instruction «How to integrate pricing table into a Squarespace» or contact our support team, We will be glad to help with any issue!